The ruler of Xenoa, Queen La'ian, gives birth to the heirs of her throne: Eli, Zeus, and Drix. She decides to protect her triplets from the scheming leader of rival world Zephyr, General Norak, by sending her children to faraway Earth. Two decades later, the lives of the three estranged siblings intersect in the most unexpected way. Everything they know and love is suddenly threatened when General Norak zeroes in on them from light years away. The spiteful alien wants unconditional, uncontested power over Xenoa, but he is unable to achieve this as long as the true heirs to the throne are still alive. He is so hellbent on ruling Xenoa that he doesn't think twice about turning sibling against sibling in his quest for power. 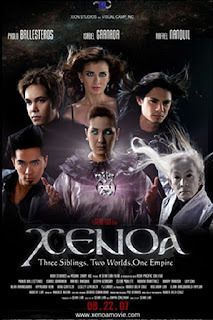 Xenoa is a 2007 sci-fi action-fantasy Filipino indie film, directed by Sean Lim. The film was released to Philippine theaters on August 22, 2007. It stars Isabel Granada, Paolo Ballesteros and Rafael Nanquil. The film gives a glimpse of the power struggle for the planet Xenoa. 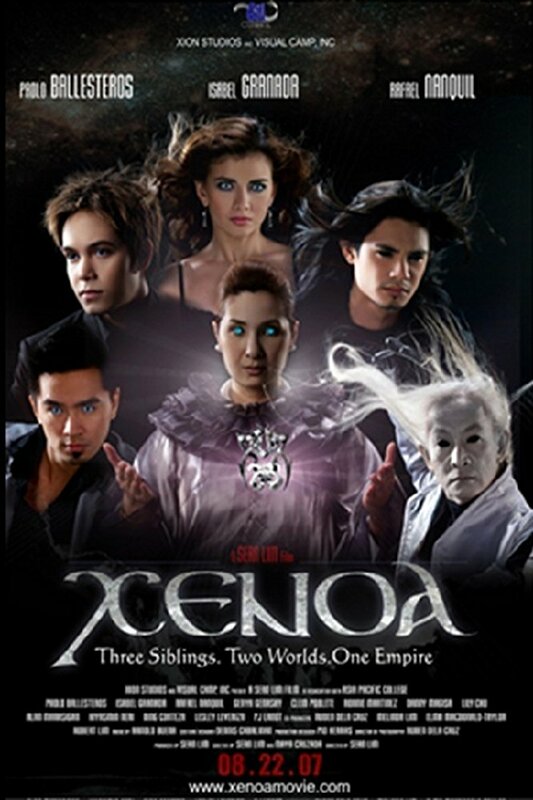 When the ruler of the triple-star system, Queen La’ian (Clem Poblete) gives birth to the heirs of the Xenoan throne, she decides to protect them from the scheming General Norak (Ronnie Martinez) by sending the triplets – Eli, Zeus and Drix (played by Granada, Ballesteros and Nanquil respectively) – to faraway Earth.